The cuisine of the Albergaccio restaurant is renowned for combining the chef’s creative spirit with the most genuine Tuscan culinary tradition. 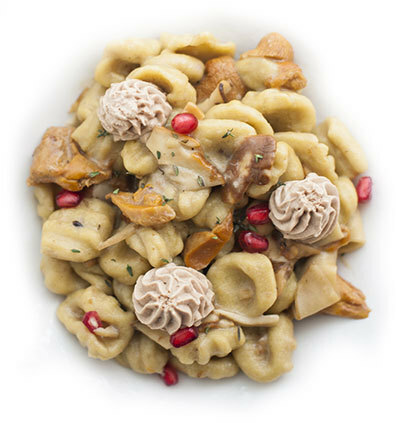 Tuscany’s products are processed with current or traditional techniques like wood fire, to offer an authentic and current Tuscan cuisine. Dishes, specialties, and menus are renewed every season to showcase local first fruits any time of the year, using culinary techniques refined over thirty years of activity. Only those who are conscious of their past can build their own future. 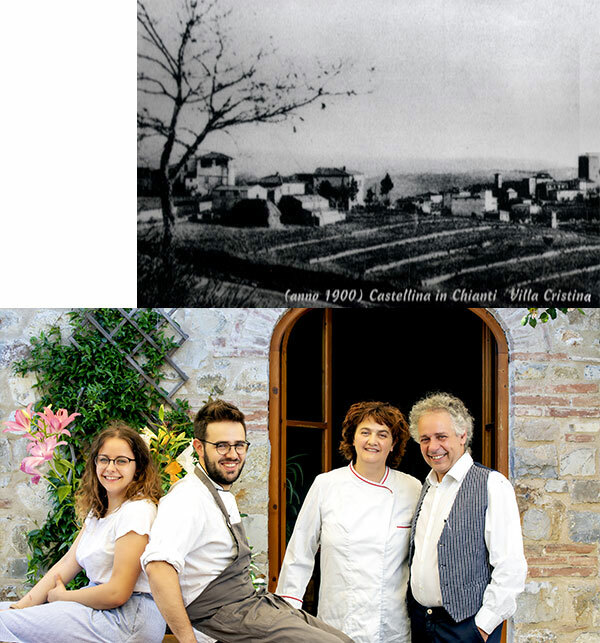 The dream of creating a place where simple ideas are transformed into new flavours, experimenting with radically new culinary combinations, came to life in 1989 when Sonia Visman and Francesco Cacciatori set their hearts on buying a farm building and turning it into their idea of ​​a restaurant. In 1999, the urge to improve sees them buying and renovating an adjacent barn, which soon becomes the current headquarters of the restaurant. In 2014, their dedication and passion for this profession for 11 consecutive years is deservedly recognised with the award of a Michelin Star. In 2015, still driven by their urge to expand, the more informal “Albergaccio dell’Osteria” comes to life in the premises of the original restaurant. Experience, creative flair and high-quality ingredients have transformed Ristorante Albergaccio into a reference for a discerning audience, one eager to experience new tastes and flavours within a classic and family atmosphere. Coord. GPS: Lat. Nord 43° 28' 21" - Long. Est 11° 16' 53"